Essential Oils can be a great way to help your skin look, and feel better as well! If you are looking for the best essential oils for aging skin, I'm happy to share a few of my favorites with you! When's the last time that you looked in the mirror and didn't even feel like you recognized the person staring back at you? More than likely, as you age you may feel that way quite frequently. Trust that you aren't alone in feeling like you want to pause and slow down time. Every single one of us feels that way at one point in time or another! The good news? There are some amazing essential oil options out there that can help take your aging skill and give it a bit more glow. Anti-aging skin care products are big business, and there are so many different products on store shelves to choose from today. The problem? Many of those products contain a cocktail of chemical ingredients, which certainly isn’t appealing to anyone who likes to keep their personal care routine as natural as possible. Have you ever stopped to read what is exactly on the label that you are buying? If you can't pronounce or don't know what the word is, it's a good rule of thumb that it's something that you probably shouldn't be using on your body. The good news: You can make your own Anti-aging wrinkle creams and serums and save a lot of money. Why spend money on something that you can do yourself? There are many carrier oils that have great anti-aging and restorative properties. One of my favorites is Rosehip Seed Oil. These carrier oils provide the base for your anti-aging skin care recipes. But to really up the ante for effective anti-aging serums and creams, you will need some essential oils. If you are looking for a specific way to hydrate and nourish your face, face serum is a great way to help your aging skin. Not just any essential oils, but pure, unadulterated essential oils. I use these oils. How to Know Which Essential Oils to Use? There are SO MANY essential oils available today. This is both amazing and overwhelming. It can be hard to decipher through them all and find out which ones work best for you and your body. What some prefer, others may like something different. That's the beautiful thing about essential oils! There is truly something out there for everyone. So which oils are the best for aging skin? Here is my list of what are my top 5 Anti-Aging Essential Oils. Helichrysum oil has restorative properties. It fights free radicals and supports the skin, liver and nervous system. Frankincense oil works to support healthy skin cells. Not only that, but it also has astringent properties. It’s an excellent choice for improving overall skin tone and all of the fun things that come with aging. Lavender essential oil has many uses. It’s also one of the few essential oils that you can safely apply undiluted directly to the skin, and it works well for all skin types. It is great for irritations and is balancing for the skin. Sandalwood essential oil is excellent for the skin. It's great to help even out your skin tone and moisturize dry, aging skin. Rose oil is a key ingredient found in many anti-aging oil products. It’s rich in vitamin A, and it helps support aging skin. Rose oil makes a great moisturizer for dry or aging skin. There are many essential oils that you can safely incorporate into your skin care routine. With their skin supporting properties, these 5 essential oils make a great choice for keeping your skin looking fresh at any age. Keep in mind that it's important to do your research and find the essential oils that can help you on your specific need. 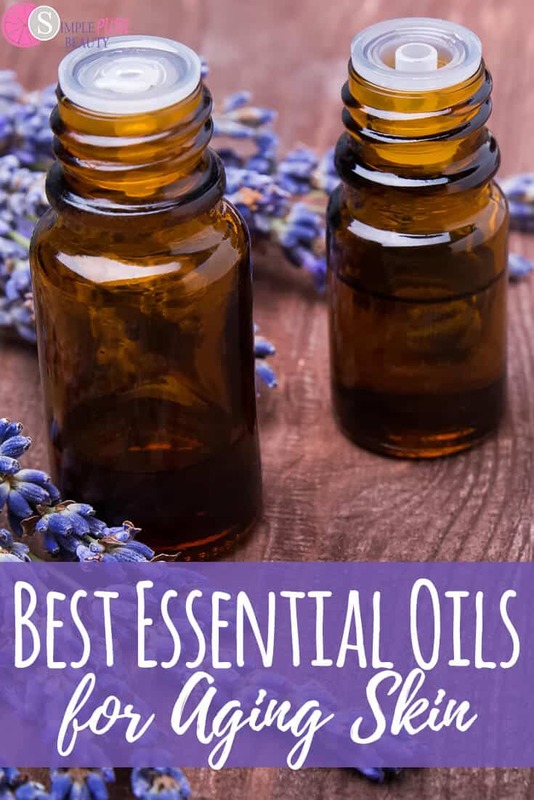 There are a ton of amazing options and benefits that you should truly take the time to educate yourself on everything that essential oils can do for you. What are your favorite essential oils for aging skin? I try out different carrier oils and found hemp seed oil, argan oil,grapeseed oil, jojoba, and evening primrose are great carier oils and i put a few drops of helichrysum, frankincense, myrrh, rosemary, and bergamot essential oils to do a nice oil rub. hemp oil has become my best friend! I use it to make soaps, lotions, and treatments. How can I use bentonite with oils, soaps, and masks?